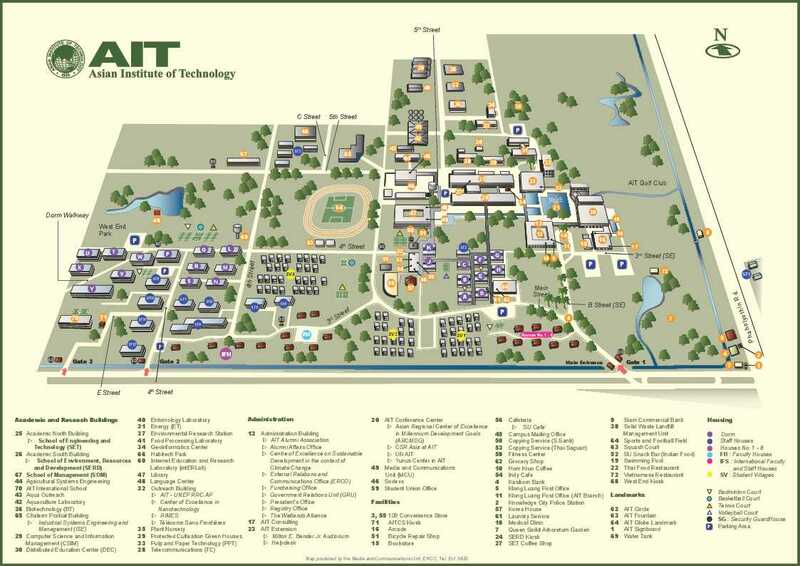 AIT is located 40 km north of Bangkok on Paholyothin Road. Taxis from central Bangkok cost around 500 THB, depending on traffic conditions at the time. 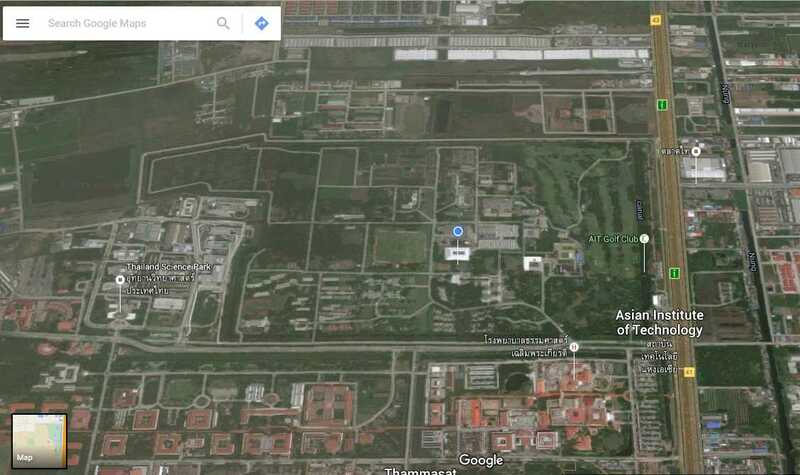 AIT is located 16 km north of Bangkok's Don Muang International Airport. Transport from the Airport is available by Airport Limousine (Baht 600, US$ 16) and by taxi (Baht 200-250). Pathum Thani is located in Central Thailand and the weather is classified as Tropical Savanna Climate under the Köppen climate classification system. Temperature: March-April are usually the hottest months (average high is 35-36°C. Rainfall: May-September experience an average of over 15 rains days a month. Humidity: Average Relative Humidity ranged from high 60's to 70's in terms of percentage. Discover the "Lotus Flower Town" (Pathum means Lotus Flower). 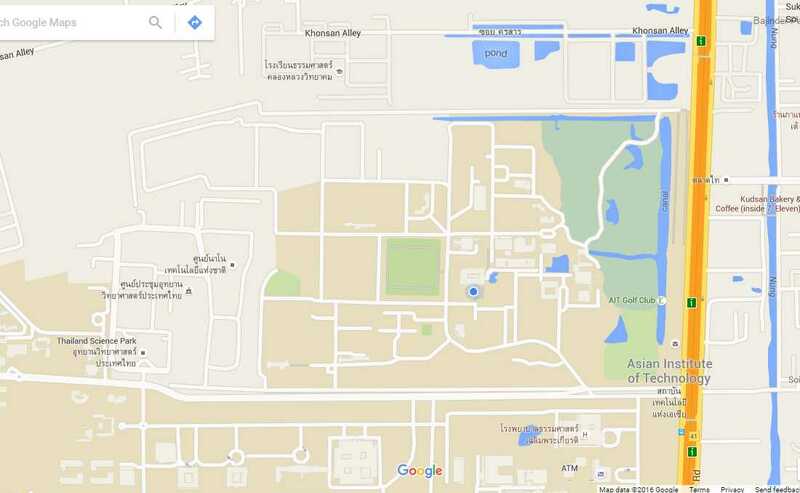 AIT is located in Pathum Thani, just north of Bangkok. Pathum Thani is a part of the Bangkok metropolitan area, and the boundaries between Bangkok and Pathum Thani are nearly indistinguishable. History: Pathum Thani has been reportedly inhabited since 1650. Science and Technology Hub: Pathum Thani has emerged as the Science and Technology hub of Thailand, due to the presence of a number of educational, research, and science and technology institutions. AIT has a partnership with numerous institutions in the vicinity, and researchers and students of many institutes share research facilities. If you wish to contact someone in AIT, click here.